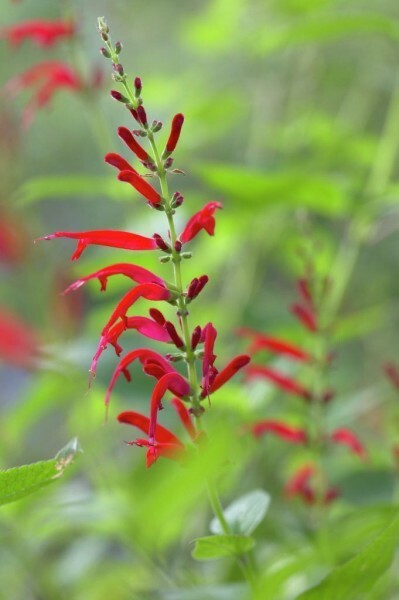 Half hardy perennial Sage with tangerine-scented foliage and wonderful rich red flowers. Leaves can be used in fruit drinks, fruit salads and puddings. Makes a wonderful stuffing for pork dishes when combined with fruit such as apples. Height 1m. Full sun. Good for bees.